The Radio Choir from American Public Media isn't just another choral ensemble in the land of 10,000 choirs. Led by Tesfa Wondemagegnehu, it's a choir built to sing with people, not just for people. "Radio Choir is about the process of making music together  it's all about building community," Tesfa says. The choir reverses the typical choral ensemble model, focusing 90 percent of its efforts on community building and outreach and 10 percent of its efforts on performances. The objective of the group is to build community and to transform the experience of singing in a choral ensemble and that of an audience member. True to its media home, the choir aims to reach people wherever they are  in or out of the concert hall, in a wide range of settings  and to remove barriers that separate performers from listeners and communities, which may exist in a traditional choral-music setting. "We're looking to reach a younger, more diverse audience," Tesfa explains, "so we've got to go about things differently. It can't just be the norm, like, 'OK, we're just going to put on tuxedos and sing Barber's Agnus Dei. That's not going to work for this." Examples of the group's activities will include: individualized instruction with K-12 students in schools serving diverse populations; performances in prisons; leading an impromptu sing-along in a bar as well as coaching and singing with area church choirs. The choir will sing richly creative arrangements of current popular songs side-by-side with choral works from the Renaissance to the present day, sparking new connections across genres and periods. Although most of the choir's work will focus on outreach and community building, the group will have an annual large-scale performance. The choir's debut will take place at Orchestra Hall in Minneapolis, on Jan. 23, 2016. The group will perform Jeremy Walker's extended jazz work, 7 Psalms, as well as several creative arrangements of popular songs and spirituals. After the choir's debut in January, the group will continue to perform, as a whole as well as in smaller satellite choirs, throughout the community in various settings. Some of the group's members will form the core of MPR's community singing initiative Bring the Sing, an event designed to encourage community choral singing. "There's no ulterior motive, it's all about totally going in and just connecting with people," Tesfa says, adding with a laugh, "We'll just come in and crash in spots, start singing and basically dare people to kick us out." 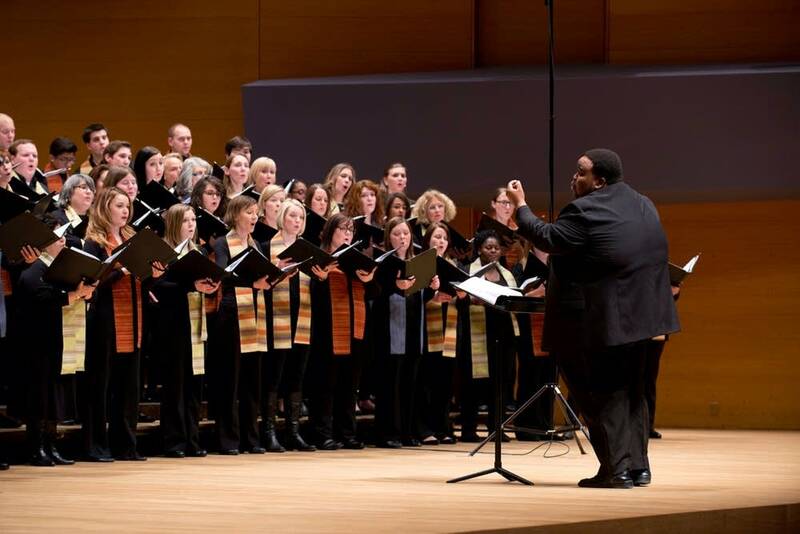 The Radio Choir makes its debut on Saturday, Jan. 23, 2016, at 8 p.m., at Orchestra Hall in Minneapolis.